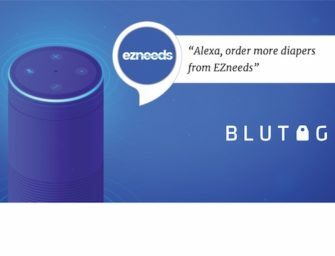 Earlier this week, Poly, also known as Plantronics, Inc., announced the integration of Amazon Chime and Alexa for Business solutions..
Last week Ticketmaster announced the development of an Alexa skill that allows users to buy tickets with voice commands. The..
Last week, Alexa announced it’s integration with Wolfram Alpha, a computational knowledge engine that offers a wide range of curated..
Omron Healthcre announced yesterday that it is working with Amazon Alexa to offer a first-of-its-kind blood pressure skill. Those who..
Amazon’s new Alexa Answers program solicits select Alexa users to answer questions posed by other users that Alexa cannot already..
We will likely be seeing Amazon roll out new speaking styles for Alexa soon. Last week, the Alexa Speech Team.. The Alexa Prize Challenge is a competition for university students dedicated to advancing the field of conversational AI. Initially introduced.. Early this month Amazon rolled out some new features for Alexa and Alexa for Business customers. The Reminders API, calendar..
Amazon recently announced a new feature for Alexa skill developers, the Reminders API. This API allows you to set custom reminders..